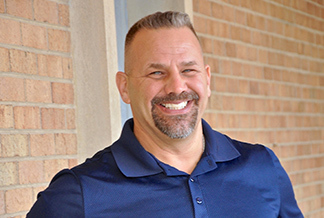 Jon serves as Facilities Manager, overseeing the entire campus including the Community Ministry Center, Child Development Center, and the church facilities. Jon joined the staff in 2016. Jon graduated from Centreville (Va.) High School. He also attended Gardner Webb and has his associates degree from RCCC. He has lived in different states, but calls North Carolina home. In his spare time, he enjoys watching his son play sports (football and bowling). Jon’s mom and dad are his heroes. He also loves watching sports. What he loves most about his job is the positive atmosphere.